I think I like the marsh as much as I do the beach itself. I headed north today to visit Prime Hook National Wildlife Refuge. When I was there on Monday showing Teri the territory I saw a flock of snow geese lift up out of the marsh only to settle back down. Sometimes the marsh hawk spooks them into this behavior. I checked out both areas I have known them to visit and could not find them so they must have been way out in the marsh, but they have arrived! Winter can not be far away. I was hoping today, to see them a little closer in the pools of water in the hook. I did see a group a long way off as their white bodies created a white line against the edge of the water. I goofed around a bit waiting for sundown watching the Pintail ducks rummage for food on the bottom of the marsh bobbing their heads in and out of the water. I then began my drive out of the marsh. 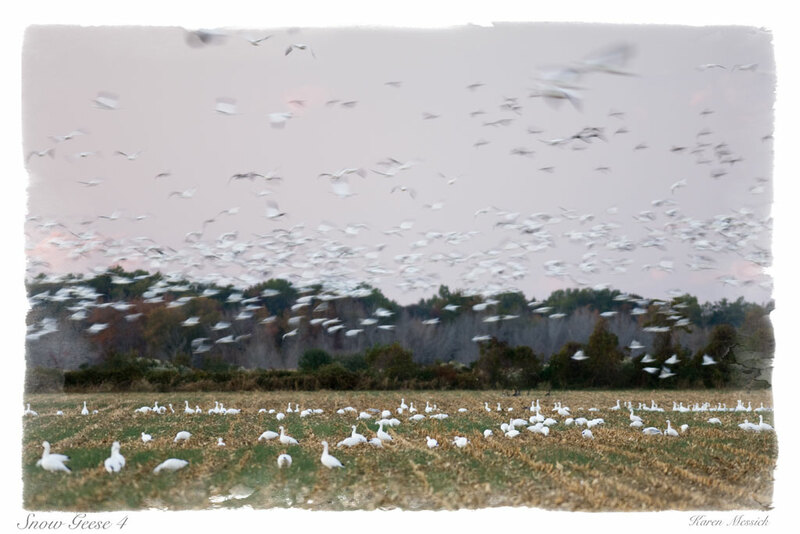 Well there were the snow geese in a farmers field settling down for the night, Hundreds if not thousands. So I pulled off the road and put on the 300mm 2.8 and began to make a few images in the fading light of day into night. 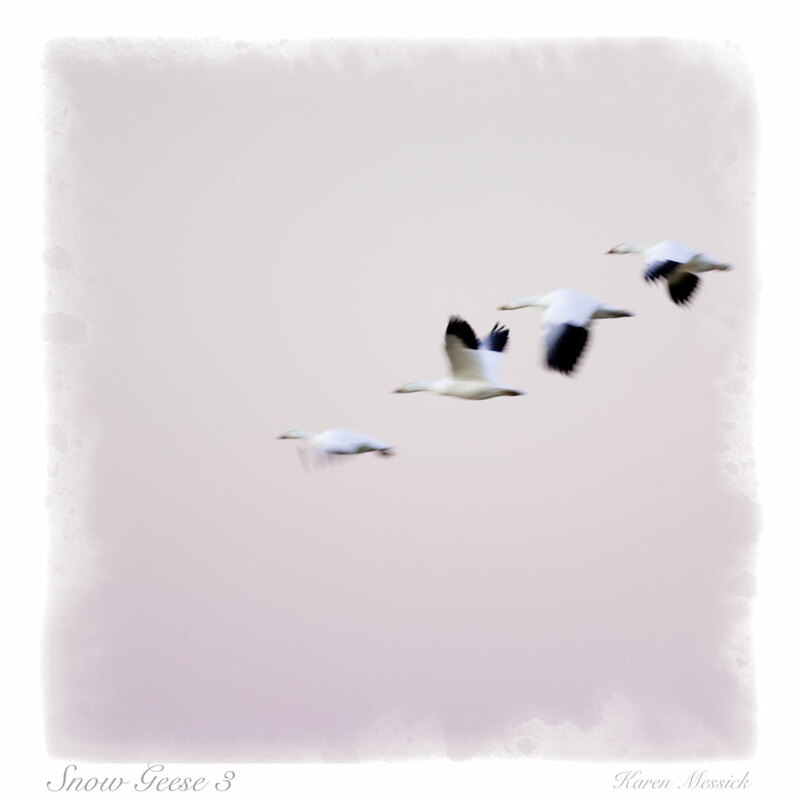 The light was very low, but I wanted to at least get some shots to say YES the snow geese have arrived...so here's a few from tonight!